So many things about the 20 miler I ran on Saturday were all out of whack. Was it the worst 20 miler I’ve ever done? Meh, nawww. Was it the most painful? Almost. But ya know what, I’m not disappointed, I’m not even upset. I laugh, I know I should have known better, and some things I just couldn’t help. I’m glad I got the miles in, and spent those hours on my feet. It’ll all help come October 9 at the Denver marathon. ‘sides, we’ve got 2 more to look forward to. 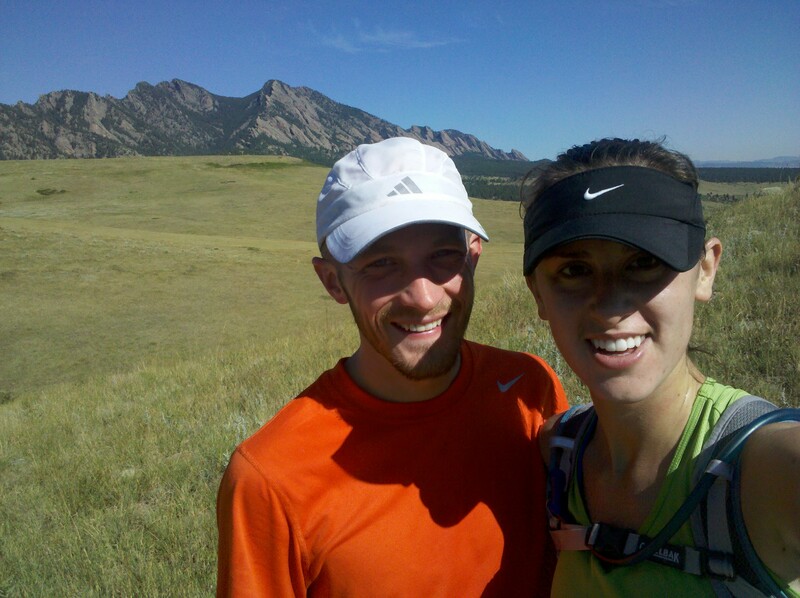 #1 Boulder/Denver cycle: It’s our first marathons, let’s take it nice and slow. We had no idea what we were doing, and relied on the help of my awesome experienced marathoner roomie, LJ. #2 Cleveland cycle: Seemed like I had good days only when Weez had bad days, and vise versa. #3 Boston cycle? Despite healthy training and habits, Weez seemed to struggle through all the long runs, leaving me to run by myself a lot of times. And long runs are no fun by oneself. #4 Denver (current): Weez is KILLIN’ it and I’m left in his dust. I think my training buddy has gotten faster than me. Much faster. But I’m not ready to let go! By mile 6 when we stopped for our first GU break, I was panting like a dog. Hunched over, non conversational, gasping for air. Even then I said to Weez “this is proooooobably not how I should be feeling 6 miles into a 20 miler”. He offered to slow the pace, but I told him to keep it up, since I figured one of two things would happen: a.) we’ll crush the long run, and finish in blazing fast time or b.) I’ll hit the wall. And I’ll hit the wall hard. But the thing about me is, if you give me a personal challenge, I’m ALL over it. I won’t give up and I won’t wimp out. One of my favorite personal traits about myself is my mental fortitude and I’ve got a strong family to thank for that. Even though in some cases, I should just know better. Oh well. I’m still glad I tried it. Anyhoo, mile 7 and all the sudden I’m getting this crazy nose bleed. Totally out of nowhere. Has that ever happened to you? I didn’t want to stop or slow down, so here I was, running along holding my nose with my hand. We eventually came along a small group of hikers and fortunately they had tissues. Again with the not-wanting-to-stop for too long thing, I shoved the tissues in my nose and off we went. Mile 10 we finally turn around after 1,000ft of elevation gain and I’m cashed. Weez, meanwhile is chatting away, offering words of encouragement, and telling me to crush the next hill. Oof oof. 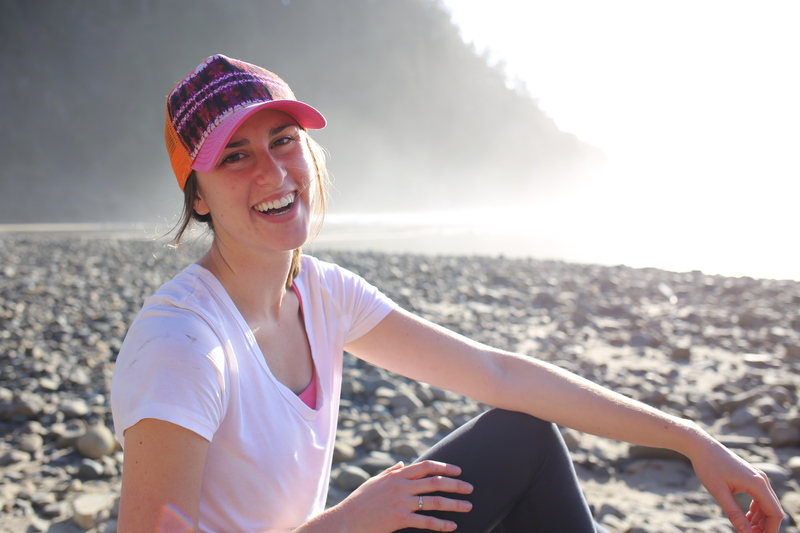 When long runs get rough, I give myself mental checkpoints to run towards. Just get to mile 12, and we’ll stop for another GU. And thank goodness for that. Just get to mile 16 and you’ll be back at the main trailhead. But after the trailhead? Try to hold the heck on. Don’t be fooled. I’m not really smiling. It’s funny… when you’re feeling great on a long run, 2 miles feels like “only 2 miles left!!! Rainbows and butterflies!” When you’re feeling crappy, 2 miles feels like an eternity. The good news is that I neither walked nor cried at any point of those final 2 miles. And the best news? 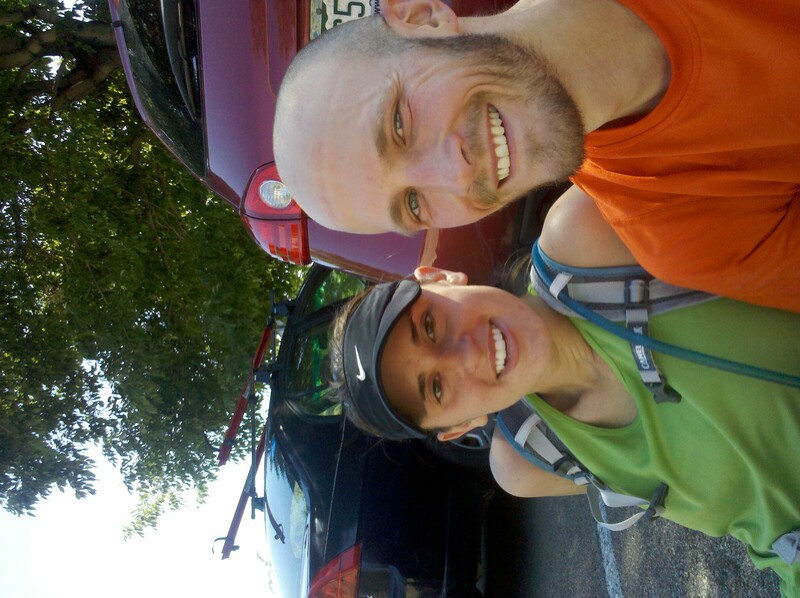 Is that Weez stayed with me the whole time, and we logged in our first 20 miler of this training cycle! Booya! During those last 2 miles, all I could think about was the incredible hot tub at our new apartment complex, warm and bubbly, waiting to relax my tired legs. And that it did. Some of you folks do ice baths after long runs… but I’m tellin’ ya, the hot tub is SO the way to go :) A liter of gatorade by my side and my legs in the water. Best recovery ever. And that’s the tale of 20 miler #1 for the Denver marathon training cycle. Hopefully by #2, I’ll be wiser or my legs will be faster :) We’ll see! Next Post My Friend’s Steampunk Themed Wedding! great job! you still ran 20 miles that is an AMAZING distance to go! Ahhhh I hate the LR wall! I usually will time my routes to end up back at my house a mile or two early, but challenge myself to just do mini loops until my time is done. Helps break it up a little easier. awesome job on toughing it out!! !